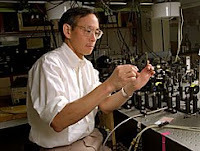 President-elect Barack Obama recently nominated Nobel-Prize winning physicist Steven Chu to be Secretary of Energy. Chu has a firm understanding of science policy, climate change, research and energy issues, and we are hopeful that he will revitalize scientific funding and research. Please visit Chu's brief interview with Science Debate 2008 for his thoughts on the role that science has to play in US prosperity. Helo, your blog is really good, I like it very much!By the way, if you like NHL Jersey you can come here to have a look! Thanks for such a wonderful information I am looking forward to read your informative post. Nice post....great help..keep the good work going..